PDF files often contain sensitive information that needs to be protected. Protecting your files help you prevent unauthorized users from accessing and tampering with your documents, including copying or printing them. You can protect your PDF documents using special PDF locker software. Here're the top 5 free PDF lockers that are worth trying out. PDFelement is a great PDF locker that ensures proper protection of your PDF files. 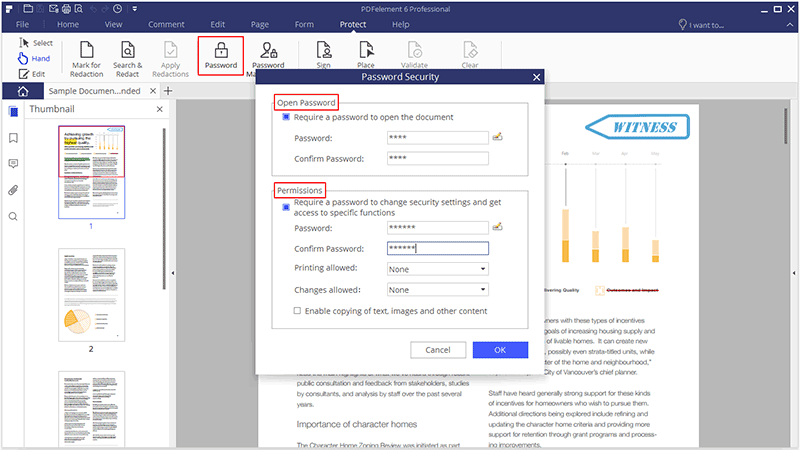 It protects PDF files through the use of password restrictions that prevent unauthorized users from accessing your files. It is also an incredible tool for Windows and Mac users that lets them edit, create, sign, convert, and OCR PDF files. You can edit PDF file items such as image, fonts, pages, colors and watermarks. You are also able to convert PDF files to other formats like Word, PowerPoint, Excel, images, and more. Vibosoft PDF Locker for Windows is another PDF locker that ensures maximum protection of your PDF files. It enables you to protect your files through use of a user password and an owner password. The user password restricts user access to the file, while the owner password ensures that the contents of your PDF file are not re-used. This tool encrypts your file using three different types of encryption algorithms. It allows your file to be edited but not copied or modified by another user. NovaPDF is an encryption tool for Windows, which allows you to protect your PDF files using passwords. The passwords protect the files from being copied or pasted by unauthorized people. In addition, it enables you to combine multiple files together into one PDF document. NovaPDF also allows you to add watermarks to PDF files with images or text. You can also sign PDF files and add bookmarks. 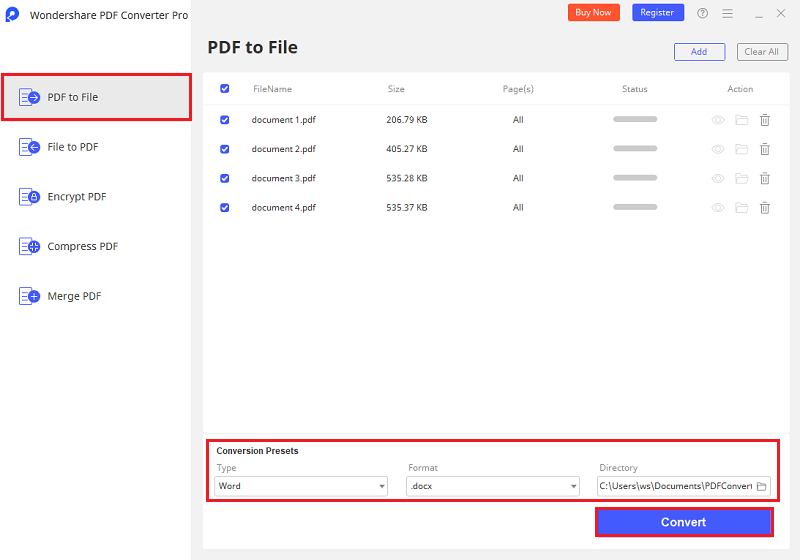 PDF Converter Pro for Windows is a great solution to secure your PDF files by requiring a password for accessibility. It protects the files from being printed, copied or edited by unauthorized people. It can also convert protected PDF files to other formats. The software lets you combine multiple files with different formats into one document. You can also safely convert PDFs into formats like Excel, PowerPoint, HTML, Word and image. 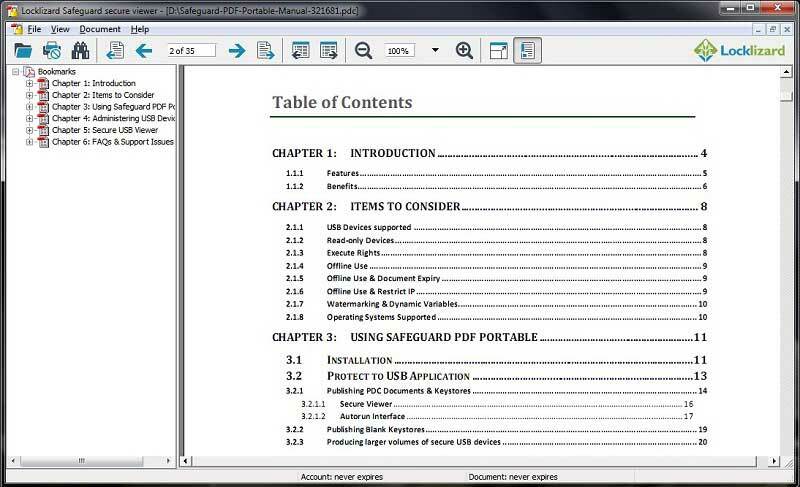 Safeguard PDF Security protects PDF documents by controlling access and use. It secures documents so they cannot be printed, copied or modified by unauthorized users. It facilitates protection of files by preventing sharing and distribution of PDF files online. It also prevents unauthorized people from taking screenshots of your PDF documents and ensures security of files on local computers.